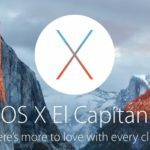 The following is a guide to the biggest issues users are experiencing after the Mac OS X 10.6.3 update. Before we delve into the specific problems and their associated fixes, let’s examine a routine that will eliminate 99% of show-stopping issues that occur after an incremental Mac OS X update. If you’re experiencing such a problem (i.e. a disruption of your workflow), start with option #1 and continue to work your way through the process until your problem is resolved. Download the Mac OS X 10.6.3 combo updater, which weighs in at a hefty 785MB but is a troubleshooting godsend. Quit all open applications and run the installer. Option #2 — if option #1 fails, try this. 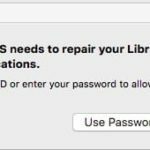 Booting your Mac in Safe Mode then simply restarting normally is one of the most overlooked, most effective procedures for solving a variety of issues after an incremental Mac OS X update. The reason for its efficacy: booting in Safe Mode forces a disk directory check, clears potentially problematic cache files and performs other routines, detailed here. To boot in Safe Mode, hold the Shift key while your Mac is starting up. After booting in Safe Mode, simply restart normally (without holding the Shift key) and check for persistence of the issue. Option #3 — if options #1 and #2 fail, try this. Downgrade to Mac OS X 10.6.2. Although this option eliminates important security fixes included in Mac OS X 10.6.3, along with any other enhancements, it may be the best option if a problem is interrupting your workflow and options #1 and #2 prove ineffective. After installation, you’ll be left with an earlier iteration of Mac OS X 10.6.x (current retail discs include Mac OS X 10.6.2), but an otherwise largely intact system. Download the Mac OS X 10.6.2 combo updater and apply it if your disc has an earlier version of Snow Leopard. You may need to restore some saved username/password information, browser information, etc. Restore from Time Machine Backup. If you have a current Time Machine backup, connect the Time Machine backup disk, then insert your Snow Leopard installation disc, then restart while holding down the C key. After selecting your language, go to the Utilities menu and choose“Restore from Time Machine Backup.” Choose your Time Machine backup disk and choose a backup iteration directly prior to when you installed the Mac OS X 10.6.3, and continue with the process. With that out of the way, let’s look at some of the specific issues users are experiencing after the Mac OS X 10.6.3 update, along with some corresponding fixes. Intermittent freezes/stalls (mouse/keyboard input stops). One of the more frustrating issues is one in which users experience intermittent freezes and/or system stalls after the update to Mac OS X 10.6.3. The issue is typified by the cursor freezing in place, or text input becoming suddenly interrupted then catching up a few seconds later. A number of users have now reported success with removing login and startup items, or deleting errant kernel extensions, clearing kernel extensions, and other fixes. External/secondary display issues. For some users, external/secondary displays are exhibiting a series of all-too-familiar issues under Mac OS X 10.6.3. In the most common case, external monitors no longer function at the desired (usually highest) resolution. The external display remains blank until the resolution is switched to a lower setting from the Display panel of System Preferences. In other cases, the external display will not function at any resolution, or the display flickers or exhibits other distortion. 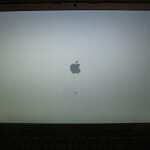 This problem can usually be resolved by lowering resolution or downgrading to Mac OS X 10.6.2. Photoshop, other CS3 apps won’t launch. Several users have reported an issue in which Adobe Photoshop CS3 and other CS3 apps fail to launch properly under Mac OS X 10.6.3. In some cases, the application launches then immediately quits; in others the dock bounces in the icon and proceeds no further. Solutions include turning off Rosetta mode and clearing caches. iTunes crashes on launch. iTunes 9.0.3 and 9.1 may crash on launch after the Mac OS X 10.6.3 update is applied. It appears that this problem is caused by the absence of files removed from Flip4Mac by Monolingual, a tool for deleting extraneous languages from Mac OS X. As such, if you’ve run Monolingual on your Mac and have Flip4Mac installed, you may encounter the crashing issue after updating to Mac OS X 10.6.3. The fix is to reinstall Flip4Mac. Mail.app not receiving mail. Some users have reported that Mail.app fails to retrieve all mail or certain messages after the update to Mac OS X 10.6.3. Mail.app may also stop automatically checking for new mail (i.e. it will only receive mail when the check mail button is clicked or the app is quit then re-launched. Fixes include re-applying the Mac OS X 10.6.3 combo update (as described above) and changing DNS servers. Click here for more information. AirPort/Wi-Fi problems. Some users have reported AirPort/Wi-Fi connectivity issues after the update to Mac OS X 10.6.3. These include slow throughput, inability to connect, or a need to persistently refresh Web pages before they will properly load. Users have reported success with booting in safe mode, as described above, which may clear some errant caches associated with wireless networking. Click here for more information. Slowness; fan running constantly due to ‘PTMD’ process. Several users have reported an issue in which, after updating to Mac OS X 10.6.3, a process called PTMD persistently uses 50% or more of CPU time and shortens battery life dramatically. This issue can also result in constant disk access and fan activity, and high procesor temperature. A stop-gap fix is to kill the process using Activity Monitor, as described here. Spotlight doesn’t work properly. Some users have reported that Spotlight searching no longer works properly after the update to Mac OS X 10.6.3. In these cases, some files may not be found or search functionality may not work at all. This issue can generally be solved by rebuilding the Spotlight index, as described in an Apple Knowledge Base article. No Bluetooth. Some users have reported a loss of Bluetooth connectivity after updating to Mac OS X 10.6.3. 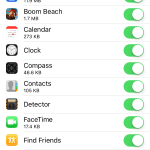 Users who experience this problem find that the bluetooth icon on the menu bar has line through it (indicating that it is not operational) and displays the message ‘Bluetooth not available’ when clicked. The Bluetooth pane may also be missing from System Preferences. 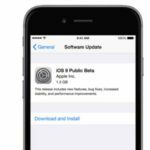 Potential fixes include deleting a Bluetooth-associated .plist file and resetting PRAM/NVRAM, or resetting your Mac’s SMC. Cannot write to SMB volumes. Several users have reported that they can no longer write to Samba (SMB) volumes after the update to Mac OS X 10.6.3. Users experiencing this problem receive the following error message when attempting to write to SMB volumes: “The operation can’t be completed because you don’t have permission to access some of the items.” This issue can be resolved by turning off Unix extensions in your Samba server. Fixed my slow-as-sludge machine with its spinning beachball when, in Activity Monitor, I found something I didn’t recognise using 98% of the CPU. Turned out to be something launching at start up and put there by Snow Leopard Cache Cleaner. Dumped it – everything’s now fine. Had a similar problem, it was not iTunes although there may have been a problem with iTunes, I did not try it. My Problem is my Final Cut Suite was crashing, the culprit was Quicktime Pro, it crashed just upon launching it. I uninstalled flip4Mac and everything just works. I also used monolingual before the 10.6.3 update. 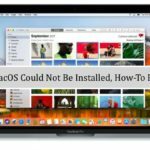 I am glad I found this article, I can assume by reading this, that it is now safe to reinstall flip4Mac.